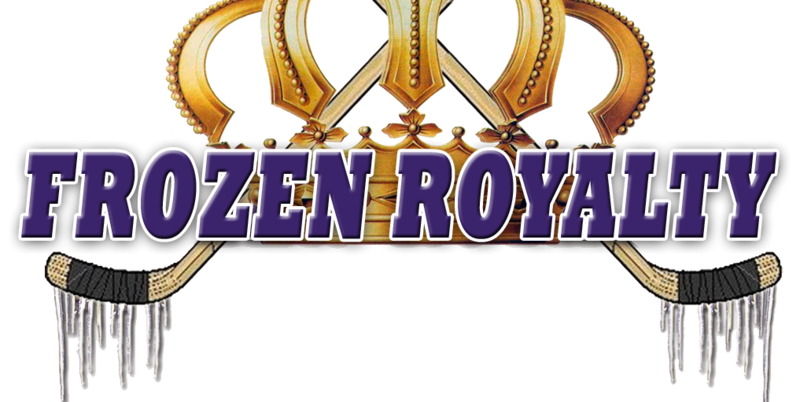 PRE-TRAINING CAMP COVERAGE: Frozen Royalty begins its pre-training camp coverage with stories based on interviews from the Los Angeles Kings HockeyFest ’11 event, held on September 11, 2011. Starting things off is the real story on left wing Dustin Penner and his physical conditioning. For those of you who are still claiming that he is out of shape, guess again. Looking trim, and fit, Los Angeles Kings left wing Dustin Penner met with the media during the Los Angeles Kings HockeyFest ’11 event at Staples Center in Los Angeles on September 11, 2011. LOS ANGELES — Back in July, during the Los Angeles Kings’ 2011 Development Camp for their young prospects, veteran and much-maligned left wing Dustin Penner emerged from the team’s dressing/weight room area to take a break during a workout. Penner made his appearance on a day when the local media covering the team, including those representing two major newspapers in the area, the team’s official web site, a web site operated by NBC Sports, and several other web sites known for having solid reputations and writers with real sources, were all gathered at the Kings’ practice facility to cover the Development Camp. As the target of frequent, heavy criticism for his poor play after he was traded to the Kings, Penner immediately became the big story, not the young prospects. Following the Kings’ first round exit from the playoffs in April, Penner was openly criticized by Kings President/General Manager Dean Lombardi and Kings head coach Terry Murray for his poor conditioning. But he did not take the criticism negatively. Instead, he used it as motivation, spending at least three days each week during the off-season working out. Indeed, when he came out of the dressing room area and spoke to the the throng of reporters that fateful day in July, Penner stood there in sweaty, workout clothing, looking trim, fit—considerably leaner and meaner than he did at any time after he joined the Kings last season. At the time, Penner said that he had already lost about ten pounds. But just a little more than a month later, a photo of Penner was posted on Twitter that enraged a considerable number of fans, most of whom were already critical of him for his poor play with the Kings. The photo “confirmed” for them that Penner really was fat, lazy, good-for-nothing, and that his physical conditioning had not improved. Whether they intended to or not, fanning the flames were stories published in the Edmonton Journal and on Puck Daddy, among other media outlets, that included the photo (see Fan Snaps Unflattering Photo of Dustin Penner: “Looked Kind Of Beer Belly-ish,” and What We Learned: Enough With The Outdoor Hockey Games). What these readers did not take into account was that even though the Twitter user who posted the photo claimed to have taken it on August 28, 2011, that has not been independently confirmed. Even the photo’s origin and authenticity have not been verified. As such, it would be foolish to consider it to be reliable information. Add to that the previously published reports on Penner’s physical conditioning work—all based on interviews with Penner and Murray, not to mention other reliable sources with first-hand knowledge of the situation, the photo’s dubious nature is magnified that much more. Further, just four days prior to the release of that photo, Murray confirmed in an exclusive interview with Frozen Royalty that Penner’s conditioning work has continued at pace since the time he met with the media in July. Fast forward to the Los Angeles Kings HockeyFest ‘11 event on September 11…Penner completely blew away all doubts about his conditioning just by walking into a room. Indeed, following his appearance on the ice when the team was introduced to the fans, Penner met with the media, looking like he had added a great deal of muscle to his frame. He looked like he could defeat Goliath in a fight. Back in July, Penner indicated that he was not used to the intensity of the workouts that he was doing this summer with the Kings, but he has since gotten accustomed to it. Penner did indeed spend a lot of time in the weight room this summer. After all that, one thing is clear: Penner has completely obliterated all doubts about his physical conditioning. Certainly, claims that he is still in poor physical condition are laughable, at best, as is the photo those claims are based on. To paraphrase an old saying, one should never believe everything they read, see or hear—the credibility and reliability of the source, the writer, and the publisher must always be taken into account. That said, both the Edmonton Journal and Puck Daddy are fine publications, worthy of your time and attention, as are the authors of those stories, both credible professionals with real sources. But in this case, it appears that they did not look into the credibility and reliability of the photo, not to mention the photographer who claimed to have taken it (the Edmonton Journal story did mention that the photo and/or the alleged photographer may not be credible, but they apparently did not look into the matter). Penner, who owns a home in Newport Beach, California, was making the more than forty-mile trip (each way) to the Toyota Sports Center in El Segundo, the Kings’ practice facility, for his workouts. But he recently moved to Hermosa Beach, which is just a hop, skip and a jump away. “It’s very stressful, driving the carpool lane without someone in the passenger seat,” Penner joked about his long commute. “Willingly,” Penner responded with a grin. Looking back to last season, Penner indicated that had more difficulty adjusting to his new surroundings than he originally believed. With training camp just days away, like his teammates, Penner is looking forward to getting things going, especially given the fact that the Kings are now expected to contend for the National Hockey League’s Western Conference title after they added center Mike Richards and left wing Simon Gagne to their lineup. Penner, who is in the final year of his contract, is one of the pieces the Kings are counting on to provide offense in the coming season. But playing for a new contract is not something he is concerned about. Mayor’s Manor also has comments about Penner and his conditioning from Kings defenseman Matt Greene. Great story. I like the in depth questions and comments. Yeah because last year his big problem was that he just wasn’t strong enough, right? Oh no wait. His problem was that he just didn’t give a damn. Prove to me he gives a damn and I’ll stop hating on Penner. Until then he can just put on black tights, a sports bra, and hair extensions and grab an effing shovel because here in LA we call non-hockey skaters with nice bodies ‘ice girls’. Give Penner a break. He has been working out as reported by Frozen Royalty, the coaches, and others. He made a commitment and is keeping it. I think he will be a great asset this year. His size makes him hard to deal with. Sorry but there’s no reason to give him a break. We lost Strum (who was doing well) to get him and he showed up dragging his feet like a mopey kid. He was a shining example of poor sportsmanship and he should be embarrassed. You think Simmonds would have ever put out that kind of performance? He was the kind of guy you could be proud of wearing our uniform. Penner’s getting mud on his. He spent the summer doing his job the year his contract is up and suddenly he wants a gold star or it? BS. I think the observation that he just doesn’t care is a personal one. Certainly DL doesn’t believe that. His exact words were “I think he cares about the right things, but there’s some work to do in terms of this culture we’re trying to create”. His play seems soft, but that was known ahead of the trade. His work isn’t because of a contract he’s trying to procure (all though I don’t doubt that helps) but because of the lifestyle Dean is trying to instill in him. He’s jumped through all the hoops so far which could be a change in his mindset as a player, or it could be because he’s just looking to get paid. I’m willing to wait and see, but it sounds like if he does come through, and be the King we’ve always wanted, it won’t matter to you. You should also take note that Williams was called a bum last summer, and was in a contract year blah, blah, blah, and I would say the Kings are lucky to have signed him for the years they signed him for. Strum wasn’t all that impressive either. I’m not defending Penner’s performance last season but I’m more excited to see how he’ll do this season then saddened by Strums departure. Yeah I noticed after I posted it. :P Thanks. Same error. My cellphone corrected it to Ariel the first time and strum the second. Didn’t catch it, thanks. Saw him walking around in street clothes at hockey fest and he is looking very svelt. You can definitely see it in his face. He has slimmed down. Looking good. I, for one, like Penner and I like what he’s capable of bringing to the kings. Sure, he came in and dragged his feet, looked tentative most of the time last season, and often lacked the agression needed to play this game, but I’ve seen the type of player he can be and I’m willing to give him the benefit of the doubt here. It seems to me that he’s making good decisions through the off-season to address some of the areas where he was lacking. In the end, he’s got to do it for himself and not for those people who hate him. He has nothing to prove to us. At his worst, he’s a better hockey player than any of us will ever be, so we’re in no position to criticize. Besides, you can’t really please the people who hate you because they will always find a reason to hate you. If it’s not one thing, it’ll be another. So, in the end, like I said, do it for yourself and nobody else.